Law Web: Whether Advocate can file no instruction pursis without issuing notice to client? Whether Advocate can file no instruction pursis without issuing notice to client? Time and again I have noticed the some of the civil Courts and the District Courts proceed on the assumption that once an advocate files "no instruction purses" he is automatically discharged as an Advocate representing his client. The said practice of the Courts taking cognizance of a no instruction purses which is filed without following the procedure laid down by the rules framed by this Court is to be deprecated. An Advocate cannot simply walk out of a proceeding only by filing such no instruction purses. He owes a duty to his client to appear for him in the proceedings till his appointment is terminated by an order of the Court. In view of the express provisions of the said Code and the Rules framed by this Court, the vakalatnama of the Advocate continues until leave is granted by the Court concerned in favour of the Advocate to withdraw his vakalatnama. Govinda Bhagoji Kamable and Ors. 1. On the request made by the learned Advocate appearing for the Appellants, names of Respondents Nos. 4 and 6 are deleted at the risk of the Appellants. "Appellants absent when called. Their Counsel has filed no instruction purses at Exh.26. Hence the appeal is dismissed for default of appellants. It be filed." 3. The learned Advocate for the Appellants submitted that only because no instruction purses was filed by the Advocate appearing for the Appellants, the Appeal was dismissed for default. He submitted that the Advocate appearing for the Appellants had not obtained a valid discharge and therefore, merely because no instructions purses was filed by the Advocate, the Advocate was not absolved of the responsibility of arguing the appeal on merits. 4. 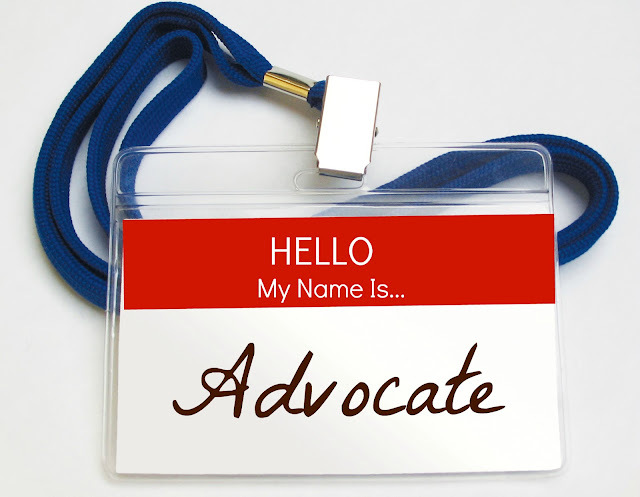 The learned Advocate appearing for the Respondents has supported the impugned order. whether the appellate Court could have dismissed the appeal for default on the basis of the purses of no instruction filed by the Advocate appearing for the Appellants when the Advocate for the Appellants had not obtained discharge? (I have heard the learned Counsel appearing for the parties on the aforesaid substantial question of law. 4. Appointment of pleader - (1) No pleader shall act for any person in any Court, unless he has been appointed for the purpose of such person by a document in writing signed by such person or by his recognized by or under a power-of-attorney to make such appointment. (2) Every such appointment shall be filed in Court and shall, for the purposes of Sub-rule (1), be deemed to be in force until determined with the leave of the Court by a writing signed by the client of the pleader, as the case may be, and filed in Court, or until the client or the pleader dies, or until all proceedings in the suit are ended so far as regards the client. 7. It is therefore very clear from the said Rule that once Advocate files his vakalatnama, the same continues to be in force till he obtains leave of the Court to withdraw his vakalatnama. It is also necessary to refer to the Rules framed by this Court in exercise of power under Section 34(1) of the Advocates Act, 1961. The said rules lay down the procedure for withdrawal of appearance by an Advocate. Rule 8(4) of the said Rules provides that when an Advocate who has filed a vakalatnama for a party wishes to withdraw his appearance he shall serve a written notice of his intention to do so on his client at least seven days in advance of the case coming up for hearing before the Court. The Rule further provides that the Advocate shall file a note in writing requesting the Court for permission to withdraw appearance and shall also file along with the Note the letter of the client instructing him to withdraw his appearance or a copy of the intimation given to the client as above together with its written acknowledgement by the client. After such note in writing is filed and if the Court is satisfied that no inconvenience is likely to be caused to the Court on the client, the Court may permit the Advocate to withdraw his vakalatnama. In view of the provisions of the said Code and the Rules, no Advocate can withdraw his vakalatnama without obtaining leave of the Court. Till such time leave is not granted, the Advocate concerned continues to represent his client. 8. In the present case, it is obvious that the mandatory procedure laid down by the aforesaid Rules has not been followed. There is nothing on record to show that before filing no instruction purses, the Advocate had given any intimation in writing to the Appellants. It is not a case where the appellant had intimated to the Advocate to withdraw his appearance. It is not reflected from the order that the Appellate Court granted leave to the Advocate to withdraw his appearance. 9. Time and again I have noticed the some of the civil Courts and the District Courts proceed on the assumption that once an advocate files "no instruction purses" he is automatically discharged as an Advocate representing his client. The said practice of the Courts taking cognizance of a no instruction purses which is filed without following the procedure laid down by the rules framed by this Court is to be deprecated. An Advocate cannot simply walk out of a proceeding only by filing such no instruction purses. He owes a duty to his client to appear for him in the proceedings till his appointment is terminated by an order of the Court. In view of the express provisions of the said Code and the Rules framed by this Court, the vakalatnama of the Advocate continues until leave is granted by the Court concerned in favour of the Advocate to withdraw his vakalatnama. 10. When the appeal preferred by the Appellant was fixed for hearing and the Advocate who was supposed to argue the Appeal was present, the Court could not have dismissed the appeal for default only on the basis of the no instruction purses filed by the advocate. If the Court intended to treat no instruction purses as an application for discharge, the Court ought to have directed the Advocate to give intimation in writing to his client as required by Rules. If the Court intended to grant discharge to the Advocate, notice to the Appellant ought to have been issued by the Court after accepting the no instruction purses. This was not done by the Appellate Court. If Advocate was to apply for leave to withdraw Vakalatnama, the Court had discretion to refuse the leave as the Appeal was already fixed for hearing. The Court could have imposed condition while granting leave. Therefore, the appeal ought not to have been dismissed for default on filing of such purses. In the circumstances, a case is made out for restoration of the appeal. 11. This takes me to the merits of Civil Application No. 1398 of 2003 Civil Application No. 1200 of 2002 for stay filed by the Appellants. On 18th October 2002, this Court passed the following order on the Civil Application for stay. "Notice to Respondents returnable on 9.12.2002. In the meanwhile ad-interim exparte relief in terms of prayer clause (b)"
"It is accordingly ordered that the Judgment, decree and order dated 30.7.1993 passed by your court in regular civil suit No.123/00 and the execution proceedings pending before collector of Kolhapur in execution application No.13/2000 in Suit No.123/00 be and the same is hereby stayed till 9.12.2002. Civil Application No.1200/2002 is due on 9.12.2002." On the basis of the said writ, the authorities effecting the partition proceeded on the footing that the ad-interim stay granted by this Court was operative only till 9th December 2002. It appears that on assumption that the stay not operative after 9th December 2002, the Tahsildar executed the decree on 7th November 2003 by dispossessing the Appellants. Civil Application No. 1398 of 2003 is for restoration of possession in favour of the Appellants. The Respondent No.1 has filed his affidavit-in-reply in which a contention is raised that the stay was operating only upto the returnable date mentioned in the order and on 7th November 2003. It is stated that a kabje patti/panchanama was executed at the time of execution which was signed by the son of Appellant No.1. 12.In view of this controversy, the question is whether the possession should be restored to the Appellants. Before I consider this question, it is necessary to consider the main controversy whether the stay granted by this Court was operative only till the returnable date i.e. 9th December 2002, or it was to continue till disposal of the Civil Application or till further orders. The first part of the order records that the notice is issued to the Respondents and 9th December 2002 is fixed as the returnable date of the notice. From the plain reading of the order, it is very clear that the order of ad-interim stay was not limited to any particular date. The first part of the order directs issuance of the notice to Respondents and it is ordered to be made returnable on a particular date. It is further stated that in the meanwhile ad-interim exparte relief is granted. It is crystal clear from the order that the intention of this Court was to issue notice and to grant stay in the meanwhile. The phrase "in the meanwhile" is used in the order granting stay. The dictionary meaning of the word meanwhile is "till happening of a particular even" or "until something expected happens". When the stay was to be operative in the meanwhile, it was to operate upto happening of a particular event. The said event was hearing of the application after service of notice to the Respondents. Whenever this Court intends to grant ad-interim relief limited to a particular date, it is always mentioned in the order very specifically that the ad-interim relief will be operative till a particular date. When this Court issued notice and granted ad-interim relief in the meanwhile, it was obviously intended that the ad-interim relief will operate till the application was heard by this Court after service of notice. When this Court makes notice returnable on a particular date, it cannot be argued that the date mentioned in the notice is the date on which the application will be positively heard. The returnable date mentioned in the order is the returnable date fixed for the notice. It is a date fixed for appearance of the parties. It is not necessary that on the returnable date fixed by this Court, the case appears on the Board. When this Court issued notice to the Respondents and granted ad-interim relief "in the meanwhile", is obvious that the ad-interim relief was to operate till the Court heard the parties on the basis of the notice issued or till order of stay was specifically vacated by this Court. Whenever, the Court intends that the ad-interim relief will operate till the returnable date, it is specifically mentioned in the order that ad-interim relief will operate upto a specific date or till the returnable date of notice. When ad-interim relief is granted "in the meanwhile" after issuance of notice to the Contesting Party the said relief continues to operate until the event of hearing of the Application. The order cannot be read to mean that the interim relief is operative only till the returnable date of the notice. 13. It is thus clear that in the present case the ad-interim relief granted by this Court was to operate till disposal of the application or till further orders. The dispossession has taken place because of last portion of the writ which was issued by the office of this court. However, the order passed by this Court was quoted as it is in the writ. It appears that the Revenue authorities were misled by the last part of the writ and the execution was completed. Writ of the order of this Court is issued for communicating the order of this Court to the Sub-ordinate Courts. Therefore, the Court must act as per the order of this Court when is exactly reproduced in the writ. 14. The learned Counsel Shri Patil appearing for the Respondents cannot be blamed if the Revenue authorities executed the decree and possession was handed over to the Respondents. He pointed out that no protest was made by the Appellants at the time of taking over of possession by the Revenue Authorities and in fact panchanama/ kabje patti was signed by the son of Appellant No.1. He submitted that Respondents were deprived of their share in the property for the last 24 years and after they were put in possession, they have taken crop on the suit land which is standing today. 15. The dispossession has taken place due to the error in the Writ issued by this Court. However, it cannot be ignored that there is nothing on record to show that the Appellants were ignorant about the pending proceedings before the Tahsildar for taking possession. As the panchanama bears the signature of the son of Appellant No.1, it is apparent that the Appellants were aware about the fact that a date was fixed for taking possession. There is nothing on record to show that any effort was made by the Appellants to bring to the notice of Tahsildar the order of stay granted by this Court. After possession was taken, crop has already come up on the suit land. Moreover the parties are related. In the circumstances, it will be unjust at this stage to disturb the possession of the Respondents. However, the Respondents will have to be put to terms. Their possession will naturally be subject to the final result of the appeal in the District Court. Moreover the Respondents No.1(a) to 1(h), 2 and 3 will have to deposit in the Appellate Court a sum of Rs. 7500/- without prejudice to their rights and contentions for the purpose of securing the claim of the appellants. The Respondents will have to be restrained from creating any third party interests or parting with possession of the suit land in favour of any third party. (i) The second Appeal is partly allowed. The impugned order dated 14th September 1999 is quashed and set aside and Regular Civil Appeal No.456 of 1993 is restored to file. (ii) The parties are directed to appear before the 5th Addl.District Judge, Kolhapur, on 6th September 2004 at 11.00 a.m. for fixing schedule of hearing of the Appeal. The Appellate Court will dispose of the appeal finally as expeditiously as possible and in any even on or before 31st December 2004. (a) The Respondents Nos.1A to 1H, 2 and 3 shall deposit a sum of Rs. 7500/- in the Appellate Court without prejudice to the rights and contentions of the parties within a period of six weeks from today. If the amount is not deposited within the period of six weeks, the Tahsildar, Radhanagiri will take over possession of the suit land from the said Respondents and will put the Appellants in possession thereof. (b) If the amount as aforesaid is deposited by the Respondents Nos.1A to 1H, 2 and 3, they will be entitled to retain possession of the suit land subject to final result of the appeal in the District Court. The Respondents will not create any third party rights in respect of the suit land and will not part with possession thereof in favour of any third party. The Appellate Court at the final hearing of the Appeal will pass appropriate order as regards disbursement/withdrawal of the said sum of Rs. 7500/-. (iv) No order as to costs. (v) Since Second Appeal is disposed of Civil Application No.1200 of 2002 does not survive, and hence the same is disposed of. (vi) Parties and the Court below to act on ordinary copy of the order duly authenticated by the Court Sherestadar/Personal Secretary.